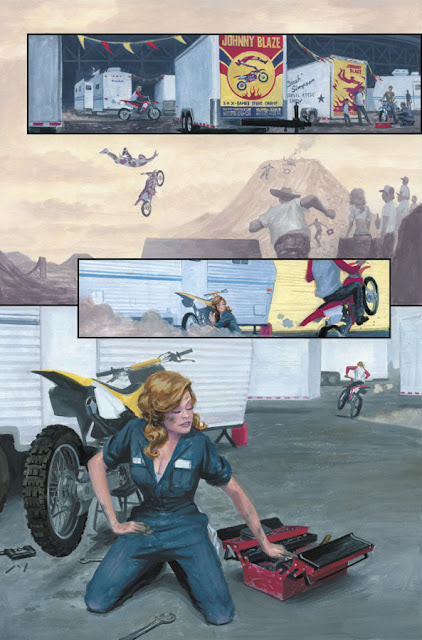 Mythos: Ghost Rider, Page 5. 2006. Acryla Gouache on bristol board, 8.5 × 12″. I have to admit, I make a pretty hot Roxanne Simpson. You can see the step-by-step process in my previous post (the 3rd of 3) on painting in Acryla Gouache. The maquette I made to capture her likeness can be seen here. Jeez. That bicep looks like it weighs a ton! Y'know, one of the things I forgot to ask you at last year's NYCC is how do you keep in shape with the busy schedule you have? It's actually the point-and-shoot camera that weighs a ton. To be quite honest, I used to go to the gym 3 days a week, an hour each time. Haven't gone at all this year, and I'm starting to feel it. I had a valid excuse before, but it's about time to start up again. And it does, in fact, help being able to see muscles when drawing. Lighting makes a huge difference too. 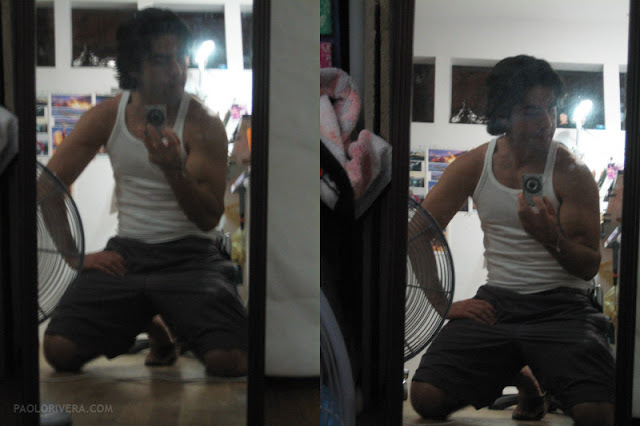 I know how to make myself look pretty bad, just by changing some key elements... but I never post those pics!